Day three saw the first completion flights. The skies were overcast but there was a perfect box wind. The fiesta balloons took off from the field and gently flew south, then climbed up to box over the field. The competitors took off from the field around 7:30. Competition was open from. 8-10 and balloons were dropping on the targets for that entire time. Once again this year the field was open for landing north and south of the completion area, which adds to the show and make the morning flight activities safer. Competition results are available on the official AIBF site. It was another great morning flying in Nee Mexico. Here are a few pictures and more are on Facebook. 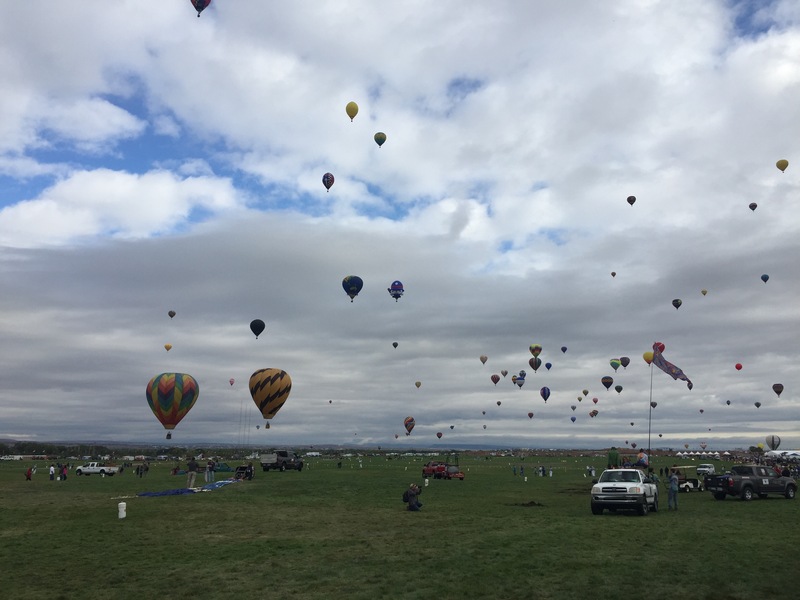 Day 2, 2015 Albequerque International Balloon Fiesta.